Many of us seek to live a more sustainable lifestyle—and yet, how can we achieve that? It can often seem counterintuitive in the current culture of excess. 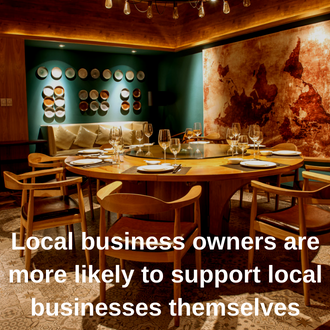 Our everyday choices have a global effect; on the environment, the climate and other species. However, if we think twice about our actions and make some important adjustments, we can take a stand against mindless consumption and preserve our earth. Here are just a few small steps you can take today to have an impact on a better tomorrow. The average American household receives a shocking sixty-nine pounds of unwanted junk mail every year! That’s approximately ninety-six million trees harvested annually for all of the U.S. to receive coupon flyers and other unsolicited advertisements. By putting an end to junk mail, you’ll not only save trees—you’ll conserve the water, fuel and other resources needed to produce and deliver it. 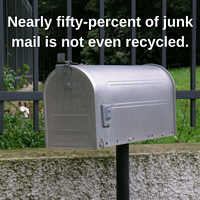 Sadly, it’s estimated that nearly fifty-percent of junk mail is not even recycled. It’s easy to stop receiving unwanted ads, too: You can simply contact the company who sent it and request to be taken off the mailing list. In the meantime, donate excess paper to schools for craft material, or recycle or compost what you receive—non-glossy paper makes excellent mulch for your garden. Have you ever opened a children’s toy from a large retailer? There’s more packaging than toy! Or stopped for a quick lunch at a fast food restaurant and wondered why they gave you so many napkins? Ahh, air conditioning—in the blazing summer heat, it can be tempting to turn the air way, way down. 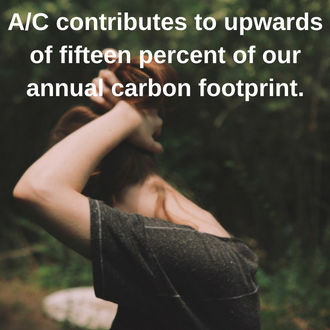 While it may feel amazing, this coveted modern invention actually contributes to upwards of fifteen percent of our annual carbon footprint.The good news is that there’s plenty of other ways to stay cool that are earth-friendly and, as a welcome bonus, save you money on your skyrocketing utility bill. Eating cold foods lowers your internal temperature, and who doesn’t love a good smoothie? A damp towel around your neck or a spray bottle with a few drops of peppermint essential oil can also bring relief from the heat. On your commute, utilize what breeze is available by opening your windows, make sure to use a sunshade when parked, and keep some cold water nearby to sip on. Aside from the ethical reasons for veganism, most animals used for food products are raised on deforested land and generate twelve times the amount of greenhouse gases as their wild counterparts. Industrialized animal agriculture is the largest single driver of climate change and produces more pollution than the entire transportation sector. If you’re not ready to commit fully to a plant-based diet, try it out one meal at a time. 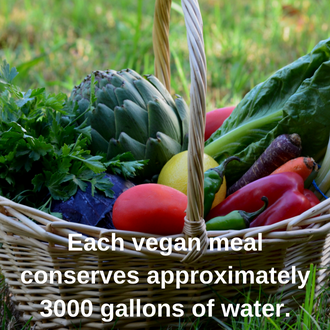 Each time you choose a vegan meal, you’re conserving approximately three-thousand gallons of water! (Did you know it takes an average of four hundred gallons of water to produce just one chicken egg?) Check out our blog posts on vegan condiments, unique avocado ideas, or a cool ginger carrot soup. Even swapping your dairy products for plant-based alternatives is an excellent place to start. Soy, almond, flax, hemp and cashew milk all require less space, water and equipment for production. Many store-bought cleaning products are pretty toxic to your health, are in non-reusable containers, release Volatile Organic Compounds in to the atmosphere and pollute our water with destructive chemicals. By cleaning with eco-friendly options, you can refill your own products to minimize waste and help reduce your exposure to toxins. If that’s not enough to convince you: government regulations don’t even require the ingredients to be listed on cleaning products – eek! Water, a few teaspoons of apple cider vinegar and a couple drops of lavender essential oil in a spray bottle makes a great all-purpose, anti-microbial cleaner and deodorizer. 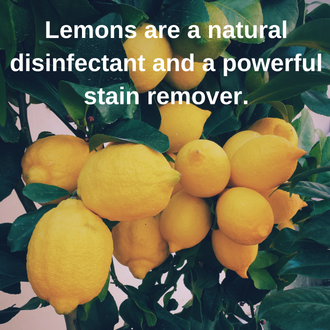 Lemons are a natural disinfectant and a powerful stain remover. Baking soda is great to remove soap scum or to remove tarnish on copper and brass fixtures. And don’t forget to ditch the paper towels in favor of cloth wipes (cut up old towels and t-shirts to make great cleaning rags!). Most Importantly...Educate Yourself & Others! Knowledge is power, and your voice makes a difference! 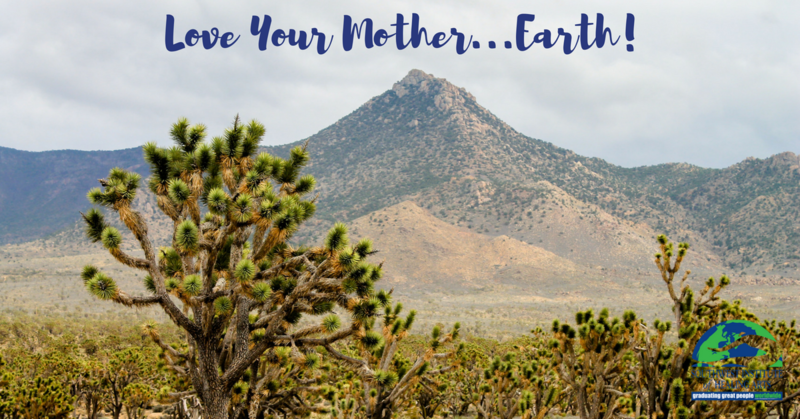 Every action creates an infinite ripple effect: if you focus on healing the earth and living a sustainable lifestyle and can help just one person live better too, they may help one person who, in turn, helps another—and so on! 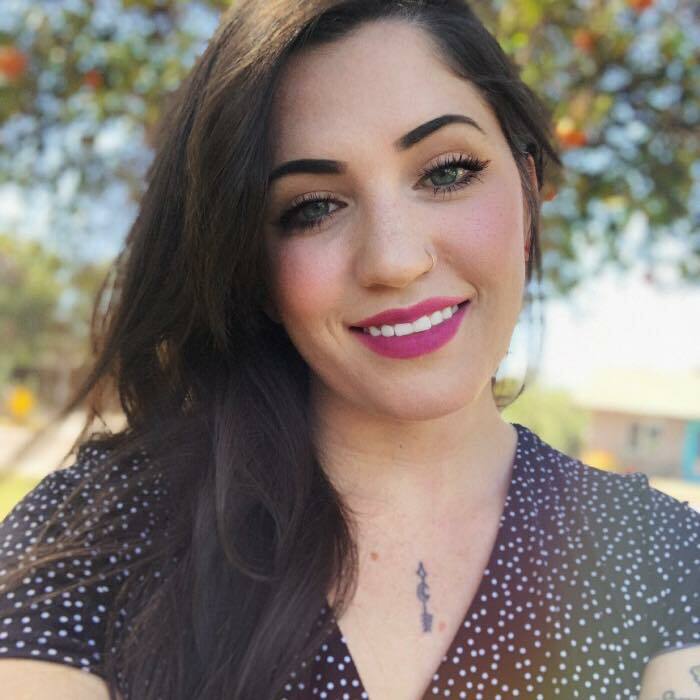 At Southwest Institute of Healing Arts, we are a conscious college community, meaning that we stand as much as possible in full awareness of the intended and unintended consequences of our actions. In our Holistic Nutrition program, you’ll learn to embrace an earth-friendly diet and teach others to do the same. Our Western Herbalism program focuses on sustainable wildcrafting practices and nature as medicine. Even our Mindfulness and Guided Imagery program will teach you to live a more conscious life and aid others in the art of living intentionally versus impulsively. If you’re committed to making a positive impact and want to turn that passion in to your career, click to see our online and on campus offerings!